Several anime features that part that really defines the series, the turning point or the portion that most people talk about. Not every series does a climax, but some do it, and it is done effectively. Two of my personal favorite ones are from the same creator. Baccano's climax is probably my all-time favorite. From episode 12, the next to last episode, several storylines are coming to a head, all at the second half of the episode. It is indescribable and I don't want to spoil anything but any fan of the series will tell you this is THE reason you love the series so much, the last half of this episode. You would be hard-pressed to find someone who didn't think that. 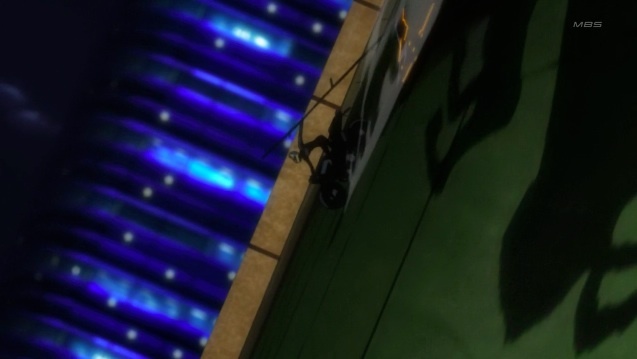 Celty loses her head in this episode! From the same creator and recently aired this past Saturday on Adult Swim, Durarara's climax hits during episode 11, which I feel is the best episode of any anime released in the America's this year. I have yet to see a scene that excites me as much. Sure, you are not even half-way through the series, but even so, I did not feel the excitement with the other storylines like I did with this scene, proving that the best climax isn't always towards the end of the series, though it is towards the end of the first major arc of the series. The kiss of bliss...and shame! One last one is an unsung hero in the anime world called Oh! Edo Rocket. Towards episode 18-20 you get to the climax of everything. Every main plot thread comes together in perfect harmony which, again, is hard to describe without spoiling it. 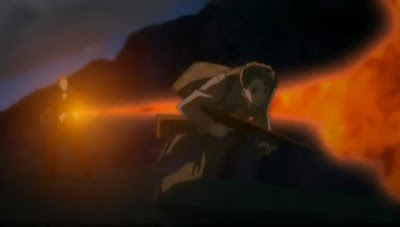 But the series continues on for several more episodes after that, leading to another climax that had both major redemption and betrayal aspects. Seriously? How can this series not be more popular than it is? I need to do a review over it soon. Some series do provide some semblance of a climax, but most are minor or not really much of one at all. I will say that when you experience one, seeing everything come together, coming to a head, and makes you writhe in anticipation for the next episode or the rest of the series, there is no feeling like that. Most modern American shows have failed at this aspect, but I think it is essential to have a well done climax for a series to be regarded as high as they are. Which series provides a fun climax for you? How about the ones I mentioned? Sound off below!